Creating an environment of opportunities where Head Start & Early Head Start children and families are empowered to change their lives. Free to eligible pregnant mothers and families with children ages 0-5. This March, NHSA celebrated Women’s History Month by recognizing and highlighting the significant contributions of women to the Head Start community. 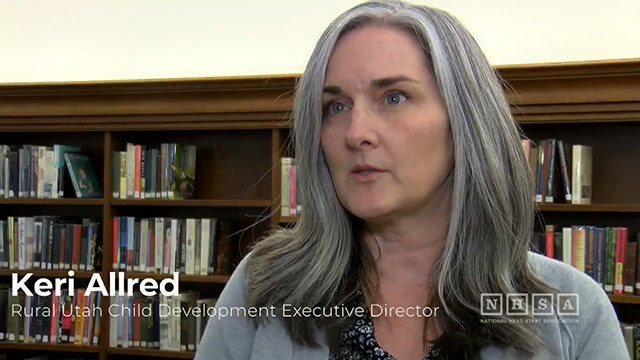 NHSA recently spoke with Rural Utah Child Development Executive Director Keri Allred, who shared the important role women have played in creating strong Head Start programs, how Head Start has empowered women over the years, and what the future holds. “I think it’s a great time to be a woman in Head Start, it’s an empowering time for all of us. As we bond together as women and move forward, great things are going to happen,” said Keri. Thank you to the many Head Start champions whose legacy we are celebrating this Women’s History Month! Children’s readiness for school and beyond is fostered through individualized learning experiences. Through relationships with adults, play, and planned and spontaneous instruction, children grow in many aspects of development. Children progress in social skills and emotional well-being, along with language and literacy learning, and concept development. Each child’s perceptual, motor, and physical development is supported to permit them to fully explore and function in their environment. All children receive health and development screenings, nutritious meals, oral health and mental health support. Programs connect families with medical, dental, and mental health services to ensure that children are receiving the services they need. Parents and families are supported in achieving their own goals, such as housing stability, continued education, and financial security. Programs support and strengthen parent-child relationships and engage families around children’s learning and development. Head Start is free to eligible pregnant mothers and families with children ages 0-5.